Tips to Improve Fuel Efficiency of the Motorcycle! A few years back a leading Indian auto manufacturer launched their “Kitna deti Hai” ad campaign that highlighted India’s obsession with mileage. For Indians, fuel mileage is an important criterion in selecting a bike. For a common man, the more a bike is fuel efficient, the better it is for them. Today, there are many commuter bikes that gives a mileage in the range of 35kmpl to 100kmpl. Sometimes, the bike mileage drops for some unknown reason but worry not as below are some hacks that would help you improve the fuel efficiency of your bike. It is a no brainer that periodic maintenance is good for bikes. You should regularly oil and lube your bike which will keep the engine healthy. It is advisable that you regularly lubricate parts such as engine and gearbox as it helps to improve fuel efficiency. Make sure you take your bike for service at regular intervals prescribed in the bike manual. One of the main functions of a carburettor is to mix fuel and air and create a highly combustible mixture which is then fed to piston in an engine. It also regulates the ratio of fuel to air mixture. The health of a carburettor plays a major role in fuel mileage of a bike. The carburettor has an air filter and fuel filter that filters out any residue or dirt present in the fuel. The filters are prone to clogging if left uncleaned. So, do clean up the carburettor at regular intervals. The power to weight ratio not just effects the power and torque of a bike but also the fuel efficiency of a bike. If your bike has panniers installed that is of no use, then you should uninstall them from your bikes. After all the bike should not drag an unnecessary weight as would consume a lot of fuel. To increase fuel efficiency, remove any undesirable part of a bike, it could be your panniers or that aftermarket heavy exhaust, keep the overall bike weigh in check. A tyre with low air pressure has low rolling resistance as a properly inflated tyres makes less contact with the road as compared to an under-inflated tyre. If the tyres are under-inflated, then the engine would have to pull harder which in turn would decrease the mileage of a bike. So, make sure the tyres are inflated as per the bike manual. The purpose of a clutch is to engage the transmission with the engine. If a bike’s clutch is worn out then the clutch is likely to slip which will fail to engage the transmission efficiently. When a clutch fails to engage the transmission a certain amount of power is wasted in the form of heat that does nothing to move the bike. Due to the loss in power, the bike will require more power than the normal which will reduce the fuel efficiency drastically. 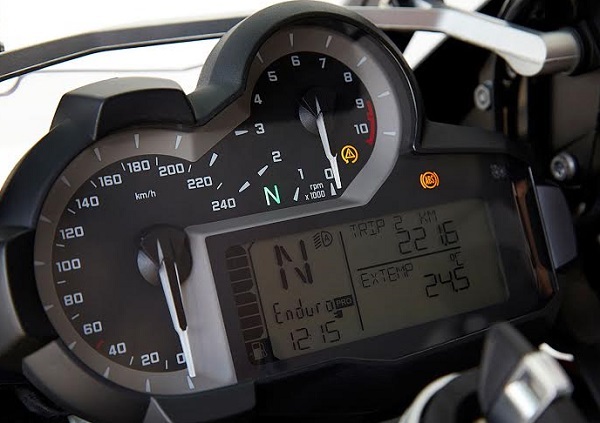 Every bike has an RPM range, in which the engine has the best fuel efficiency. You should try to maintain a constant speed at the prescribed RPM range. when you ride at constant speed, you save a lot on your fuel. Chain cleaning and lubrication is very crucial as a lot of muck gets on the chain while riding. Ideally, you should clean and lube your chain after every 700kms. A well-lubricated chain encounters less friction and the power loss is very minimal. So, this translates to better fuel efficiency. Usually a good quality fuel cost more than the average fuel. It may sound counter-intuitive but filling good quality fuel is beneficial for your engine’s health. A bad quality fuel has some amount of contamination and is likely to damage your engine. A damaged engine will consume more fuel and give poor fuel efficiency. So, it is advised to use good quality fuel which will increase the longevity of the engine and it will also improve fuel efficiency. Usually, a bike needs to change gears constantly in heavy traffic conditions which will burn a lot of fuel. If possible, you should avoid roads prone to traffic jams. You can take the help of google maps to find an alternate route to your destination. You should turn off your engine if you are halting for more than 30 sec. This is a good habit that would save you some fuel. While the aftermarket exhaust looks cool on the bike, but it can alter the mileage of your bike. The bike is ideally designed to work with company fitted equipment. Also, avoid wide tyres as they have a higher rolling resistance as compared to thin tyres. You can buy a new or used motorcycle or car at droom.in with savings through hot automobile deals.